By Eoin on 6 June 2009. At the time of writing, Google have released the very first Chrome-branded browser on Linux (in my case Ubuntu). 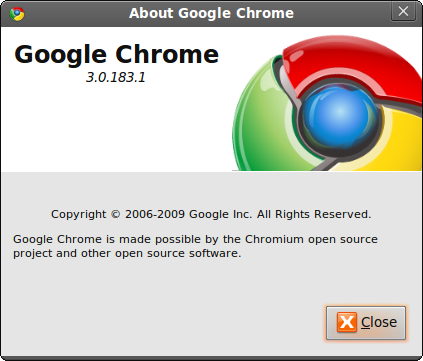 To install Google Chrome on Ubuntu, follow this download information link. … whatever you do, please DON’T DOWNLOAD THEM! From what I understand, this current release of Google Chrome on Ubuntu is basically a branded version of the Chromium browser which is in pre-alpha stage for the Linux platform. Go ahead and install it for the fun of it. You won’t even have a Flash plugin for the browser yet, but it’s being constantly updated.